This month the Gene Siskel Film Center hosted the 16th Annual Chicago Underground Film Festival hosted. Not too much of a surprise that both of the films I did catch this year were both documentaries. 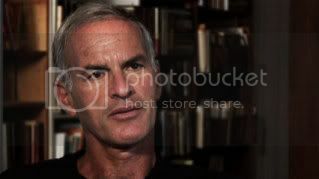 American Radical: the trials of Norman Finkelstein directed by David Ridgen (Mississippi Cold Case) and Nicolas Rossier (Astride and the Endless Revolution), follows the American born academic and activist as he lectures across the country and fights for tenure positions in both New York City and Chicago. Often referred to as a “self-hating Jew”, Norman is most well known for his views on America’s and Israel’s relations with Palestine. He is also the author of six books including his most controversial book to date, “The Holocaust Factory.” Throughout the film we retrace Norman’s life beginning with his upbringing in New York City by two Holocaust survivors. He studied with Norm Chomsky and soon became an outspoken activist and scholar about the Israel and Palestinian conflict. The film itself attempts to convey the complexities of Finkelstein’s character. Providing interviews with his supporters and his opposition the directors demonstrate Norman’s devotion to his work while showing his greatest downfall is his persistence in expressing his opinion. Let me start off by saying that I was expecting something very different from this film. When I first read the title Beetle Queen Conquers Tokyo (BQCT), I had imagined a contemporary low budget Godzilla film, not a nature documentary. After my expectations were dashed I decided to press on in hopes of finding an enlightening film on Japan’s obsession with insects. I had just watched David Attenborough’s documentary Life in the Undergrowth and expected Jessica Oreck, an employee at the American Museum of Natural History in New York City, to follow in the same vein. According to BQCT’s Facebook page, the film “delves into the ineffable mystery of Japan’s age-old love affair with insects. A labyrinthine meditation on nature, beauty, philosophy and Japanese culture that might just make you question if your ‘instinctive’ repulsion to bugs is merely a trick of western conditioning.” On paper that sounds great, but in reality I found the film poorly edited and suffered from clichéd insect-like camera perspectives. Attenborough uses the same shots with much greater success. He let the shots linger for much longer, creating a more languid motion that appeared much more subtle. I could get over these shots when learning that this was Oreck’s first film. But, what I found unforgivable was the limited amount of subtitles. If I am going to watch a foreign film, I expect to be able to read all of the dialogue and not selections. I happened to watch the film with an entomologist who helped explain some of the scenes that had no subtitles or explanations on what was happening. But in the end, I asked countless questions and felt more frustrated than informed. Episode 480: Amy Toscani and Walkerpalooza!